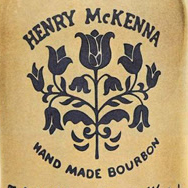 I know sourcing barrels is a complicated and expensive endeavor these days and from what I've read/heard most of what is on the market these days is either very young or older and high priced, but I do wonder if this had been released at a younger age (say 8 years) and high proof for less money if it would have went over better. I have respect for Mr. Rutledge and hope he hasn't burned too much good faith between this and the failed crowdfunding thing. I tried it and it is what I thought it was. A big money grab. It's a $40 bottle of Barton selling for $150 because they need capital to build a distillery. Jim should have just retired. It showed up here at $170. I hope Jim does well but I just can't justify the pricing, even though I really like Barton. I bought 2 1792 full proof store picks instead, for about $95 total with tax. I was talking to a friend with some access to wholesale barrels who said he could get 10 year old Barton, but the cost was going to be about $13,000 for the barrel and $80+ a bottle if at barrel proof, and that's before bottling, taxes, etc. So the pricing of this thing isn't really surprising, and I don't doubt that Jim isn't making much money on it, but still I can't see any justification for actually buying it beyond collecting it for collecting sake or flipping it. yeap! goes back to my post in the thread on Dec 8th - They aren't giving the stuff away. They know what they can sell it for and what they will make in profit after all the overhead of bottling and marketing that goes into. If an NDP approaches a large KY distillery with 11.5 year old bourbon and offers to pay more than what they could profit on it themselves, hell yes they sell it. Of course now the NDP has overpaid for whiskey that now they have to in turn mark up for a profit and that's how you get $100+ 11.5 year old bourbon. In normal times folks would see this for what it is, but these days if you say something is 'limited' in bourbon all common sense goes out the window. Absolutely, even though it is sort of absurd, it makes a certain sort of sense from all ends. For the distiller, they can make more on these barrels, which may not fit the typical profile, than they would have bottling themselves. For the NDP, they get a quality product, and especially when you have someone like Jim leading the way, you can easily sell this sort of thing. For the buyer, it's a new rare/limited and there's enough fear of missing out that people will gobble this up. Heck, it's probably pretty good whiskey too, so it's unlikely that people will feel all that bad about it at the end of the day. I think there's a lot of people that want to see Jim succeed here too, so that's reason enough to pick up a bottle if it fits in your budget. Here's my little bottle of CoK. Next time fishnbowljoe, Galvin0791 and I get together we'll have to try it. It will probably taste like Jim Beam White or some other bottom shelf whiskey. I have a feeling it's counterfeit. The tax stamp is a 1935 series, but the label wasn't adopted for use until May of 1936. Plus the fact the whole label is low quality as if scanned. Being a year apart it is more likely one of the two tax strip or label was just in flux and either new labels were rotated in early or old tax strips were still being used up, more than likely the bottle is just from late in '35 or early in '36. As far as label quality not sure how someone would be able to tell that from a photo on the internet. And I agree with your price assessment as well if someone was going to fake it the fill level would probably be better and the cost higher. It would cost more to fake this than the price. I am only commenting on the inconsistencies I noticed. And yes it is a lot of work for a tiny bottle. Simple, because all the tiny letter openings are crowded and filled in, these happen during scanning and subsequent printing. Why would the fill level be higher? That would only serve to make it appear fraudulent, it's an eighty-three year old bottle of whiskey, it's going to evaporate. Out of curiosity what are your sources for your info on the label. I am not sure what you mean by sources? I merely looked closely at Vosgar's image. The Illinois tax stamp decal is circa 1935, the bottom of the label states 'New label adopted May 25.1936'. All the lettering is crowding and a little fuzzy, not crisp as it should be on a properly printed label. The voids in certain letters are filled in, i.e. the A, E, N, and A in 'Made in U.S.A.'. There are two periods missing in Made in U.S.A.. The voids are filled in in the letters R,E,G,S,P,A,F,F in the text Reg. U.S. Pat. Off.. The 'r's' in straight and bourbon are also crowded and filled in. Bottom line I am simply pointing out inconsistencies that point to a counterfeit bottle. As far as the price, face it, who but I would scrutinize a miniature? It's the same reason most counterfeit currency is low denomination, no one really looks at it. Tried my sample and liked it but didn't $140 like it. If anyone is looking for one of these send me a PM found a store at retail that ships. I'm not a buyer so I figured I would pass it along. Thanks for the tip Kevin. Mine arrived safely today. Yes, many thanks Kevin, thanks for sharing.